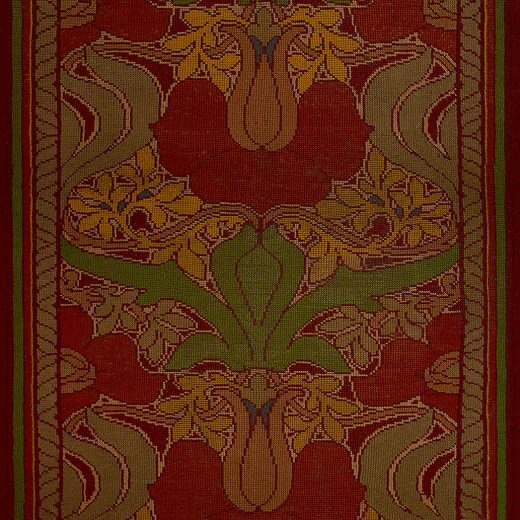 Voysey’s design was adapted by Gavin Morton, who according to Linda Parry was responsible for the design of the matching border. The carpets were retailed though Liberty & Co. 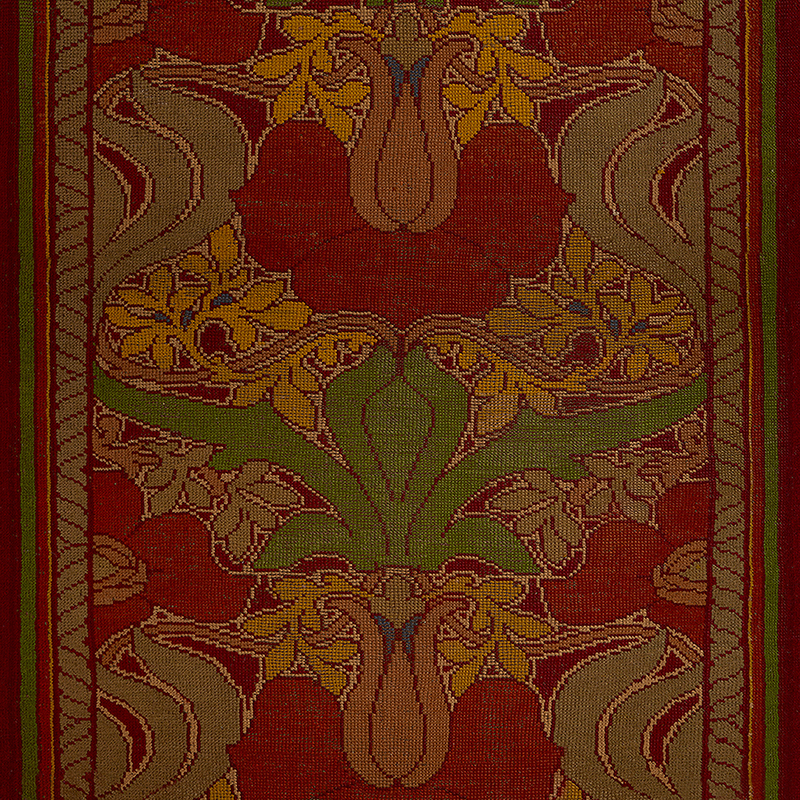 When these carpets were exhibited by Liberty at the Grafton Gallery in 1903, the catalogue described the pattern as: ‘a pleasing rendering of tulips and half blown roses’.